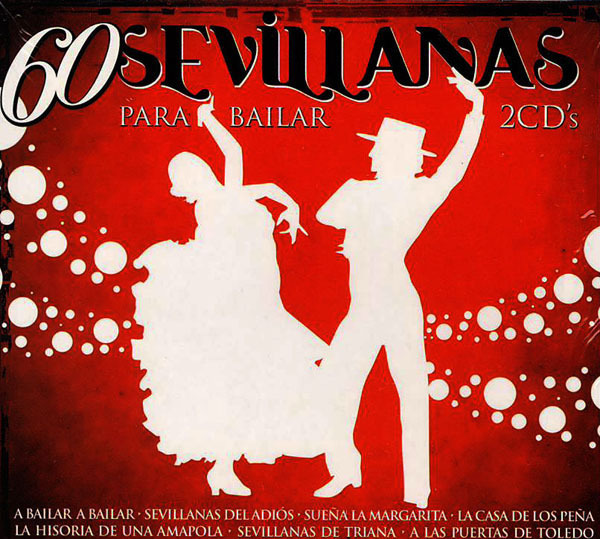 Sevillanas compilation on a double CD, inlcuding 60 sevillanas to dance. The "Sevillanas" are one of the most popular flamenco singing. The most widespread flamenco rythm or "palo" in the world is the "sevillana".